HCM City (VNS/VNA) - A new circular issued by the Ministry of Agriculture and Rural Development has postponed the opening of modern slaughterhouses and delayed the closing of old facilities. 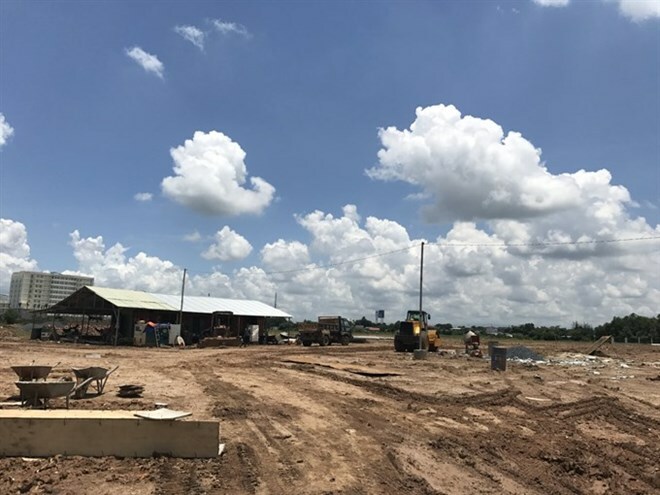 In late August, contractors finished levelling ground for a 15 million USD slaughterhouse of An Ha LLC in Cu Chi district, Ho Chi Minh City. However, Nguyen Thi Hong Tham, director of the An Ha Company, is worried that the construction of some important departments will be delayed while other facilities will need to be changed to adapt to standards regulated by the new circular. The company will have to adjust its design plan or move some departments to avoid violating the circular. “We have to move the factory away and upgrade animal shelters to fit regulations,” Tham said. However, the most difficult condtition is that “a slaughter has to locate at least 500m from residential areas, schools and hospitals” which was not cited in former circulars. Therefore, the An Ha Company stopped building its cold storage facility and moved the main slaughter away from neighbours’ fences to meet the requirement. “How can we make sure our factory is 500m away from residential areas since beyond the fence is their land? In the future, if they build a house, we will, again, violate the circular,” she said. Due to those changes, nearly 100 containers of equipment imported from Germany are being stored at a port, awaiting shipment to Vietnam. “At present, we are dividing the plan into smaller categories. For each category, we must prepare documents to report to city authorities,” Tham added. The An Ha Company is not alone. Many other slaughterhouses approved by HCM People’s Committee will have to adjust their plans to adapt to the circular. The city has planned to develop modern slaughterhouses to replace old ones since 2010, according to HCMC Department of Agricultural and Rural Development, with the city People’s Committee approving a plan aiming to operate six industrial slaughterhouses by the end of 2016. However, due to financial and administrative difficulties, no facility opened last year, and thus the city still could not close the old facilities. On April 25, 2017, the HCMC People’s Committee approved “The planning of slaughterhouse system in HCMC from 2016 to 2020”. Its goal is to put six industrial slaughters into operation by the end of 2017 and close all existing outdated slaughterhouses except for two plants in Can Gio district. Per the plan, all the city’s slaughter activities will be run in six industrial slaughterhouses with capacity of 10,000 to 15,000 pigs per day. However, at present, the goal seems likely to be missed as almost all the projects won’t be finished by the end of 2017. For some projects, investors have just started levelling the ground, while the An Ha Company project has to change its design and plans to begin operating by 2018 at the earliest. Bach Dang Quang, director of Tan Hiep Cooperative, the investor of Tan Hiep Food Processing Factory in Hoc Mon district said that they are facing difficulties in terms of infrastructure. Specifically, though the co-operative has the capital to build a factory and set up facilities, the road leading to the factory has not been built, despite the city promising to build it.